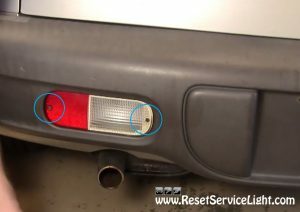 Do it yourself, change the rear light reflector on your Chrysler PT Cruiser, the model produced between the years 2001 and 2005. The replacement is very, very easy and can be done in less than 5 minutes, using only a T20 torx driver. First of all, you should go behind the car and remove the two screws marked with the blue circles in the picture below. They basically secure the light reflector onto the rear bumper. You will be able to remove them easily, using a T20 torx driver. After you do it, pull out the assembly by hand and disconnect the light bulb behind it (see image below). You can do it by twisting the socket of the bulb counterclockwise. At this point you can install the replacement assembly. 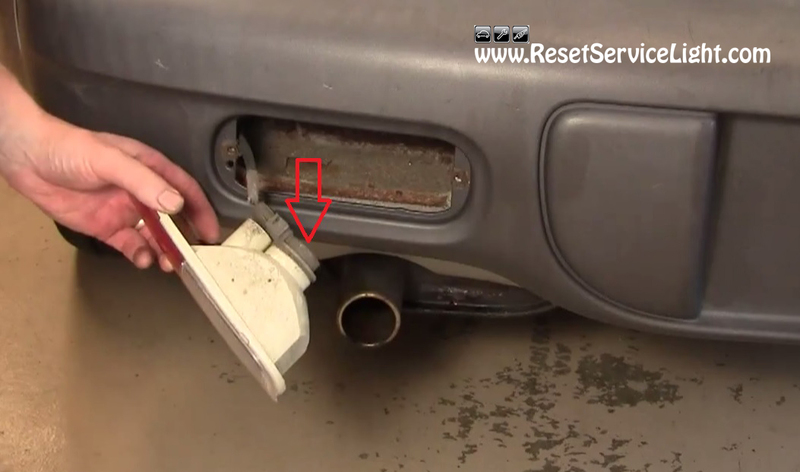 Connect the light bulb to it by twisting the socket clockwise this time, insert it into the rear bumper, in its place and secure it with the two screws. In many cases the screws can be rusty or damaged. You might need to grease them or even replace them. These are the steps you need to follow, if you plan to service the rear light reflector on your Chrysler PT Cruiser, the model made between 2001 and 2005.